Welcome to this, the next Inspectorate post. My name is Madeleine Ault and I have been with MHRA for over 6 years now. In that time I have inspected a wide range of wholesalers. These inspections cover large and small wholesalers, niche businesses, marketing authorisation (MA) holders, hospitals, pharmacies, gas sites, cash and carry sites, dispensing doctors, marine sites and so on. Perhaps you recognise your business type in that list. A couple of weekends ago saw the latest Pharmacy Show (Birmingham 18/19 October 2015). 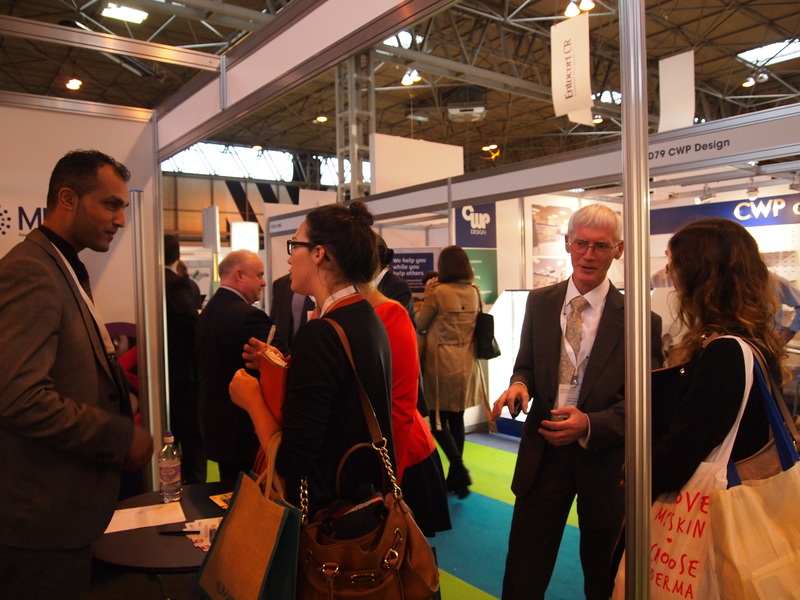 Were you at the Pharmacy Show? If so, you may have noticed we were there too. There we were between stands selling donkey milk products, nutritional supplements, pharmacy equipment, medical devices and finance! Certainly plenty of you did come and talk to us. These are the team members you may have seen with me at the MHRA stand and around the show: Peter Blundell, who organised our stand and attendance, Terry Madigan and Shahbaz Sarwar. It was certainly a busy couple of days and those who attended will know we saw a wide range of exhibitors and a full programme of clinical and business presentations. One of the presentations was by our very own GDP inspector, Terry Madigan. 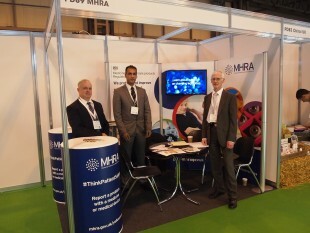 This was very well received and generated lots of questions at the MHRA stand afterwards. A presentation from Jeanette Howe, Minister for Pharmacy, was well attended. This explored a number of areas including the greater role that could be played by community pharmacies; an NHS England initiative. As we have come to expect, sometimes you just wanted to stop by for a chat; some of you wanted to raise your concerns or give us some feedback, but many of you challenged us with a wide range of questions. Some questions we were able to answer immediately and others we needed to go away and consult with our colleagues. We tried to answer questions as fast as they were posed but it wasn’t always possible to get to everyone. Sorry if you missed out. That’s why I have tried to capture a good range of questions in this blog. Please note that the answers are generic and not intended to be specific to your organisation and business model. For questions specific to your licence you should contact your most recent inspector, but please remember that your inspector cannot act as a consultant. For additional information on a range of issues please follow the links embedded in the text. How do I apply for a wholesale distribution authorisation (WDA)? First of all, you must ensure your premises, processes and documentation are ready. Your nominated Responsible Person must have the required knowledge and experience and staff must be trained. Out guidance on portal registration and making your application can help you through the process. Your application will be checked and processed by the licensing office and forwarded to the Inspectorate. Your inspector will contact you to arrange an inspection. On inspection day you have the opportunity to demonstrate what you have put in place. Any omissions will be fed back to you on the day and afterwards in writing. You must respond to the letter and once your response is approved your application will be passed back to the licensing office for completion. I want to import herbal medicines under my own livery. What restrictions are there on the products I can import? Start by reading the herbal registration guidance for marketing herbal medicines in the UK. The guidance includes more information on banned substances, the applicable legislation and registration and MA applications. You must also ensure you hold the correct licence to import these. What guidelines are available to support the pharmacovigilance lecture I am giving? A really good starting point is to go to the PV guidance on GOV.UK. Scroll right through almost to the end; under 'Legislation and further guidance' you should find plenty to interest you. The European Medicines Agency and Heads of Medicines Agencies have produced some free learning modules that are likely to help you and your students. You can click through to these from the guidance. Just remember that these are subject to copyright, reproduction might be permitted if the source is acknowledged. How do I best navigate GOV.UK and where do I find information on GDP? MHRA moved to GOV.UK about a year ago. If you try searching for something on GOV.UK you will need to define your search carefully and filter it to MHRA or you will return results from the whole of the GOV.UK site. To start with, there is an MHRA home page on GOV.UK. You can continue to the specific page for GMP and GDP. Why not save these in your 'favourites'? There are other links that are bound to be useful such as signing up to receive alerts and checking recent alerts. I did a check for all drug alerts since 1 January 2010, filtered my results and found 74. The page to report defective medicines and falsified medicines through the Yellow Card scheme is one you may never need but if you do you will want it in a hurry. You can check licences on MHRA and on EUDRA; but don't forget to also check those licences suspended and revoked and those terminated or cancelled. Regular repeat checks of these pages will keep you up-to-date and compliant. It is important to note that the old MHRA website is no longer used. I strongly recommend that you check any links you may have saved previously as if these are taking you through to the National Archives you will not be viewing current, up-to-date MHRA information. Can MHRA approve software or training courses? As the regulator it would not be appropriate for MHRA to approve software or training courses. There are, however, some instances where MHRA has provided advice to ensure a given standard is suitable. MHRA worked closely with Cogent to produce the Responsible Person Gold Standard. What are the common problems inspectors find on a GDP inspection? You have guessed correctly; we, as inspectors, do find repeating deficiencies on a similar theme. This 2013 presentation covers GMP deficiencies but much of it is also applicable to GDP. It is worthwhile looking through these and considering if your licence is compliant. I have an internet pharmacy. I want to dispense medicines to patients in other EEA countries. Can I supply them medicines with a UK MA? You may only supply medicines with a MA in the member state concerned. You will need to understand the regulations applicable in that member state, for example you must understand if there is an equivalent of GPhC or MHRA. Any exceptions will be determined by that member state and you must check that out thoroughly before you make the supply. For example, the UK has an import notification scheme applicable to medicines imported into the UK. What is new in GDP? The GDP guidelines were updated in 2013 and, as WDA holders, you should all now be fully compliant with them. Since 2013 it has also become a requirement that anyone wholesaling medicines by export must hold the appropriate licence, a WDA or applicable manufacturer's licence. More recently you may have seen that the European Commission have introduced the requirement of an EU Common Logo for distance selling of medicines to the public. Regulation 256B of the Human Medicines Regulations states the requirement and a number of conditions. To sell medicines at a distance you will need to register. You will be given further instructions, including displaying the EU Common Logo on every web page that offers to supply a medicine. |Use our guidance to register for the EU Common Logo. For that small number of wholesalers holding Active Pharmaceutical Ingredients (APIs) you must follow the GDP specific to APIs from 21 September 2015. I know someone who is advertising without the EU Common Logo, where can I report it? You can check the UK Common Logo Register by name, company number or website. Each member state will have a register. MHRA also can help with other misleading advertising issues. You can report the advertising without a logo on the same page. I export generic medicines to South Asia under my WDA. How can I prevent re-importation into the EEA? This can be divided into regulatory measures and a due diligence approach. The regulatory approach does not permit anyone to import these into the EEA without the appropriate authorisation. Each import must be released by a Qualified Person who must verify the quality of the product by reference to the MA holder. In addition, the WDA holder should exercise a due diligence approach. Customers should be selected carefully and must only be supplied if they are authorised or entitled in the receiving country to receive these medicinal products for wholesale or to supply to the public. Any unusual sales patterns or large transactions should be thoroughly investigated as these may indicate misuse or diversion of the product. It would not be unusual for criminals to want to obtain supplies of genuine medicinal product. Will there be a 2016 Green Guide? No, there will not be a 2016 Green Guide. Watch out for the 2017 Green Guide later in 2016. This will include GDP for APIs and other useful information for wholesalers. You can still buy a 2015 Green Guide. Why are there so few brokers registered? There must be more out there? The register is growing and is published on a regular basis. If you are approached by someone acting as a broker and they are not on the register, please notify our case referrals team by emailing case-referrals@mhra.gsi.gov.uk. I know someone who is trading without a WDA, how do I report them? Please notify our case referrals team by emailing case-referrals@mhra.gsi.gov.uk. Do you still have a 60-day target for determining if my trial must be registered as a clinical trial? You will get the most accurate response to your question for your specific circumstance from the Clinical Trials Unit. Scroll to the end of the page for contact details. What jobs are there for pharmacists at MHRA? We were asked this question many times. The agency employs approaching 1,000 staff and many of these are pharmacists and the roles vary widely. All vacancies are advertised on Civil Service Jobs. It's easy to create an account, register for alerts and apply. If you are on LinkedIn then look at this post by Mark Birse about becoming an MHRA inspector. If you are looking for a graduate post then a Civil Service Fast Stream post might be the one for you; but you may have missed the boat for this year. Analytical posts closed on 30 September and other posts allowed you to register up to 2nd November. If you have not graduated yet, then put it in your diary for next year. What’s the latest on e-cigarettes? Can we wholesale e-cigarettes? Do we need to keep them separate? MHRA is responsible for regulating nicotine containing products (NCPs) that are medicinal products, including electronic cigarettes. If a nicotine-containing product is not considered a medicinal product, but rather a ‘consumer product’, then its placement on the UK market will subject to the Tobacco Products Directive (2014/40/EU), which will come into force on the 20 May 2016. For further information please refer to the European Commission’s website on the legislative requirements for Tobacco Products. New legislation is being developed under the directive and, along with best practice compliance, will become publicly available on GOV.UK. What can you tell me about 'data integrity'? What falsified medicines learning resources can you provide? MHRA provide lots of Information for Pharmacists that can get you and your staff thinking about the risks of falsified medicines. As people that handle medicines every day you are ideally placed to spot something that is amiss. You can give your training extra impact by watching out for MHRA press releases on international operations, seizures of falsified medicines and convictions of those responsible. The key point to remember is that falsified medicines goes beyond counterfeit medicines and covers any medicinal product that is falsified in terms of its identity, source and history. It is now a legal requirement to inform the competent authority and the MA holder if you suspect a medicine is falsified. These should be reported to MHRA through the Yellow Card scheme. There is also useful information on pages 114 to 115 of the 2015 Green Guide. What must I do to be able to export on my WDA? This depends on what you want to export, where you obtained it and who you want to export to. For the purposes of this answer I refer to export of medicinal product to a customer outside the EEA ('a third country') under a WDA. You may not do this unless you have the appropriate categories on your licence. For products with an EEA MA you would need to vary your licence to add category 2.4 'Export'. For products without an EEA MA you would also need to add category 1.3 'Medicinal product without a marketing authorisation in the EEA and intended for exportation'. There is specific legislation for those who obtain these medicinal products from outside the EEA and for medicinal products without a MA in the EEA and you should not proceed with either of those activities without further advice from MHRA. You will need to have all the correct processes in place before you proceed. Qualification of the customer in accordance with GDP 5.9 and suitable provisions for transport GDP Chapter 9. But it doesn't stop there; you will need to consider all chapters of GDP such as training, recall and return. You will also need to satisfy all other UK export legislation and restrictions as well as the import requirements of the receiving country. How do I do a prescription-only medicines (POM) to pharmacy (P) switch? If there is enough evidence to support the safe use of the product without a doctor’s supervision a medicine may be reclassified to P by application to MHRA. Do I have to record temperatures when transporting active pharmaceutical ingredients (APIs)? All storage requirements for APIs must be respected throughout the journey. This is likely to involve suitable risk assessments or temperature data to demonstrate the correct conditions have been maintained. Storage conditions may also include other conditions such as humidity or protection from light. Can I wholesale/supply investigational medicinal products (IMPs) under my WDA? You will only be able to wholesale those medicinal products that are included in your licence. This will generally depend on whether the product has a UK/EEA MA or not and from where the medicine is sourced. You should refer to your licence conditions, printed on your licence, to ensure you continue to comply. The conditions do not specifically refer to IMP but to medicines for human use. Further guidance for IMP is available in our GCP guidance. This contains guidance and further links and contacts. The Good Clinical Practice Guide, produced by MHRA, has a whole section on storage and supply of IMP. Can I have a parallel import licence for medicines from Ireland to UK but be based in Ireland? No, a UK licence holder must have premises in the UK and operate the licence only from the licensed premises. A supplier here is selling a fridge with a fixed thermometer 'to MHRA requirements'. Does this sound good to you and have you approved it? MHRA don't approve specific refrigerators. Many refrigerators will have a fixed thermometer and this must still be calibrated. It is not always possible to determine its location. If that is the case then it is important to demonstrate that the location is representative of all storage areas within the refrigerator. This should be done through temperature mapping, probably using portable thermometers, under representative conditions to demonstrate suitability. Further thermometers may be required for routine temperature monitoring. If a pharmacy tops up a GP bag do they require a WDA? This is a wholesale activity and a WDA is almost certainly likely to be required. Articles 77(1) and 77(2) of Directive 2001/83/EC require anyone undertaking wholesale dealing activities to hold an authorisation. MHRA have published specific guidance for pharmacists on the repeal of Section 10(7) of the Medicines Act 1968. Thank you for reading my post. I imagine we will see some of you at the GDP and GMP symposia in London in December and at the GDP symposia in Glasgow in January. There are still places left for the Glasgow GDP symposium on Tuesday 12 January 2016, you can book online. The GDP Inspectorate look forward to seeing you at the next Pharmacy Show. Although some Purple guide content remains as good additonal advice, much of the content was incorporated in to the statutory guidance i.e is within Good Vigilance Practice (GVP)‎ Modules published on the EMA website. The GPVP Inspectorate have not ruled out further Purple guide publication, but have no plans to revise it this year.